Kanjizai Martial Arts - Modern & Traditional Jiu-Jitsu for Self-Defense. Certified Gracie Training Center. Kanjizai Martial Arts is a unique Jiu-Jitsu Academy providing Self-Defense instruction with Traditional Jiu-Jitsu, Gracie Jiu-Jitsu, and Functional Fitness programs. 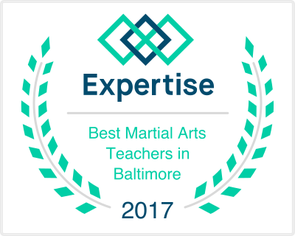 We serve the Towson, Lutherville, Timonium, and Baltimore areas at our gym in Belvedere Square, where we provide our students with a safe and welcoming place to train, learn, and grow. We take pride in our top-notch facilities, friendly, experienced staff, and the structured, world-class programs we offer. ​1. ​GET STREET READY IN 23 CLASSES. EXPERIENCED, FRIENDLY INSTRUCTORS GUIDE YOU THROUGH A STRUCTURED METHODICAL SELF-DEFENSE PROGRAM. 2. OUR TOP-NOTCH FACILITY HAS CLEAN AND AMPLE MAT SPACE, LOCKER ROOMS, PRO TRAINING EQUIPMENT, A KIDS ROOM, EXERCISE ROOM, SHOWER, CLUB SHOP, AND SEATING AREA. 3. WE OFFER JIU-JITSU FOR THE WHOLE FAMILY. RECEIVE MAJOR DISCOUNTS FOR JOINING WITH YOUR KIDS, SIBLINGS, AND OTHER LOVED ONES. POLICE, MILITARY, & VETERANS RECEIVE A 20% DISCOUNT. ​4. OUR PROGRAMS OFFER LIFE-LONG BENEFITS. GET IN SHAPE, BOOST CONFIDENCE, AND INCREASE FOCUS WHILE LEARNING POTENTIALLY LIFE-SAVING SKILLS. 5. KEEP THE FAMILY ACTIVE ALL YEAR ROUND. WE HAVE JIU-JITSU, FITNESS, PERSONAL TRAINING, AFTER-SCHOOL MARTIAL ARTS, BIRTHDAY PARTIES, AND SUMMER CAMP PROGRAMS AVAILABLE. The art of modern Jiu-Jitsu is most often referred to as Brazilian Jiu-Jitsu or BJJ. Because of it's practical effectiveness in combative sport, Brazilian Jiu-Jitsu has become the most most widely practiced martial art in all of submission grappling and MMA competition. It's original intent, however, was practical, real-world self-defense, accessible to any body type. Kanjizai's instructors have trained with Grandmasters and other master-level instructors of several traditional Japanese schools of Jiu-Jitsu. The original battlefield and wartime applications of these arts make them particularly useful for real-world self-defense, where victory and survival are one and the same. Kanjizai's curriculum combines the most effective and reliable techniques from various traditional schools of Jiu-Jitsu, into a concise, systematic curriculum, with a consistent focus on modern self-defense. All techniques are reliable and accessible for all strength levels, body types, and fitness levels. Traditional Jiu-Jitsu includes many unique throws, standing joint-locks, key striking points, small joint manipulation, and other unique ground-fighting techniques not typically found in modern Jiu-Jitsu Academies. Kanjizai's Youth Jiu-Jitsu Program teaches kids how to handle bullies with the least amount of violence possible. Our students will be equipped with the tools to handle verbal bullying with "verbal self-defense," avoiding physical confrontation wherever possible. When bullies get physical, kids will have the skills and confidence necessary to defend themselves, neutralizing their attacker's power with clinches, takedowns, and ground control techniques. While controlling their bully, students can negotiate with them safely, avoiding strikes and violence at all costs. Our students are also equipped with the wrist escapes, grip breaks, and striking techniques necessary to fend off and escape a significantly larger bully or strange adult. Daily rolls, breakfalls, and movement drills provide muscle-memories that will help students move better and feel better, inside and outside the Academy. As students learn these skills, they're cultivating confidence, respect, and discipline that will stay with them into adulthood. Kanjizai offers kids martial arts classes for ages 4 and up, Summer Camp for ages 4-12, and an After-School Program for grades K-5. Kanjizai provides after-school transportation from Stoneleigh, Rodgers Forge, Roland Park, Mount Washington, and Park School Elementary Schools. ﻿signup NOW for 10 days of unlimited FREE classes!